I think Christmas has come early this year because the weather is perfect and the fishing is great! This time of year we are seeing temperatures in the mid 70’s with light winds, which makes for very calm seas. Combine that with the best charter fishing fleet and crew in the upper Keys and you have got the makings of a very happy holiday. 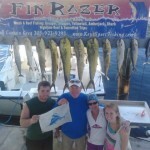 Our charter fishing guests have been enjoying some great mixed fishing. 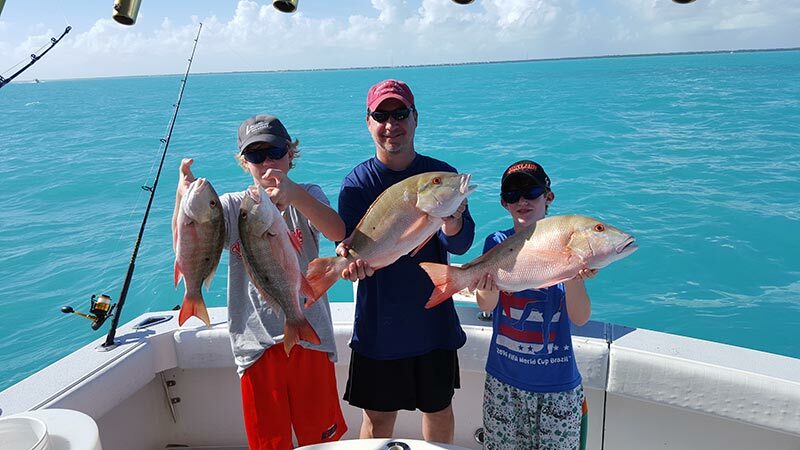 The offshore bite is getting better and better with all of the cold fronts that have been coming through the Key Largo fishing grounds. 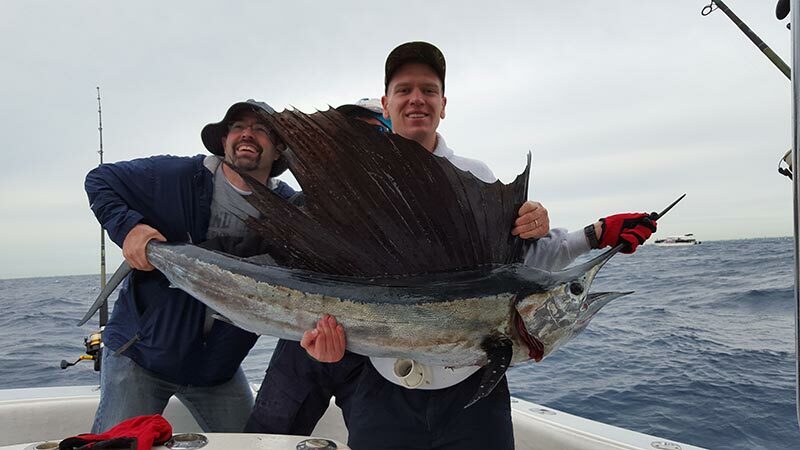 Check out the pictures on our Facebook page of our charter fishing guests landing a beautiful sailfish. We are still seeing a good bit of dolphin (mahi-mahi) out there, which always makes for good eating. 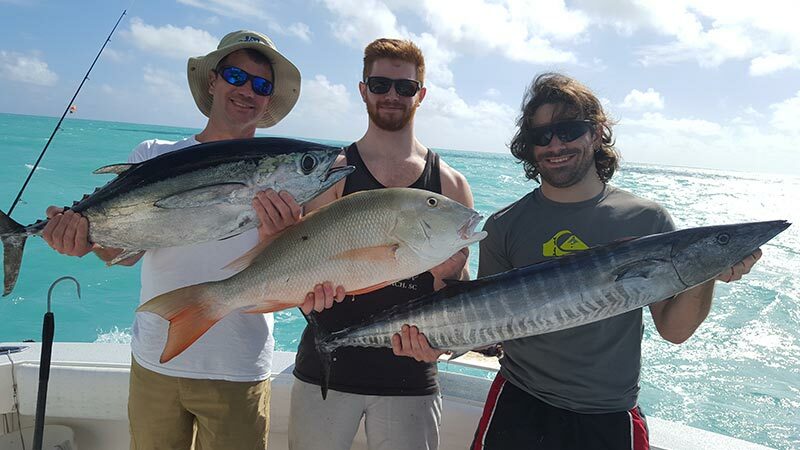 Our Key Largo reef fishing and bottom fishing has also been plentiful, with a wide variety of fish species. Here is another great Facebook picture of one of our favorite customers with a lovely rack of fish mostly caught while reef fishing with us recently. 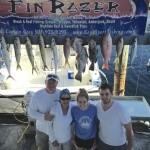 The whole family had a blast catching lots of different kinds of fish including snapper, grouper and a fierce barracuda. We sure do hope that you get a chance to experience a Key Largo fishing charter with us this holiday. To celebrate the season, we are offering a Winter Special. This is a limited time special offer to experience the fun and mystery of evening fishing. As you well know, this is the busiest time of the year for us at Key Largo Fishing Adventures. So, please make your reservations early to ensure you can get in on all the Key Largo fishing fun. Call me, Capt. 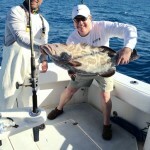 Greg, at (305) 923-9293 or visit www.KeysSportFishing.com. Happy holidays everyone and may you have a safe new year!